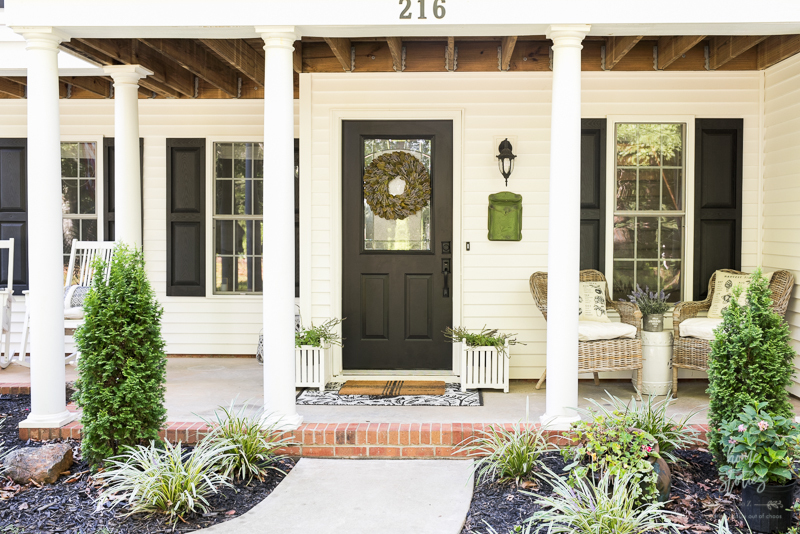 Changing or rekeying your locks is often overlooked after buying a new home. 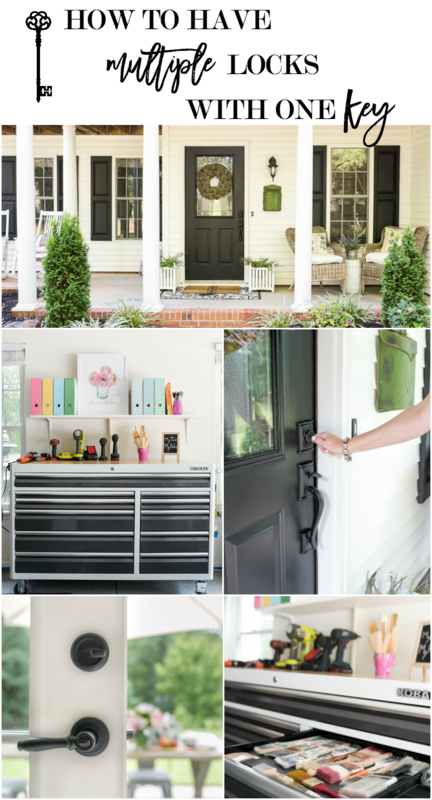 Learn how easy it is to secure your home, your garage, your shed, and your tools all with one-key convenience using Kwikset products! This post is a paid advertisement for Kwikset and I was given product to use and review. All opinions are my own. It has been one year since we moved into our home in South Carolina, and I am thrilled to finally cross off a few priority items on our forever growing “to do list”. Changing out all of the locks and organizing and securing my tools in the garage were items I kept meaning to get to but kept putting off. When Kwikset asked if I’d like to review the Kobalt tool cabinet with accompanying Kwikset door hardware, I didn’t have to think too hard about it. What a dream collaboration! 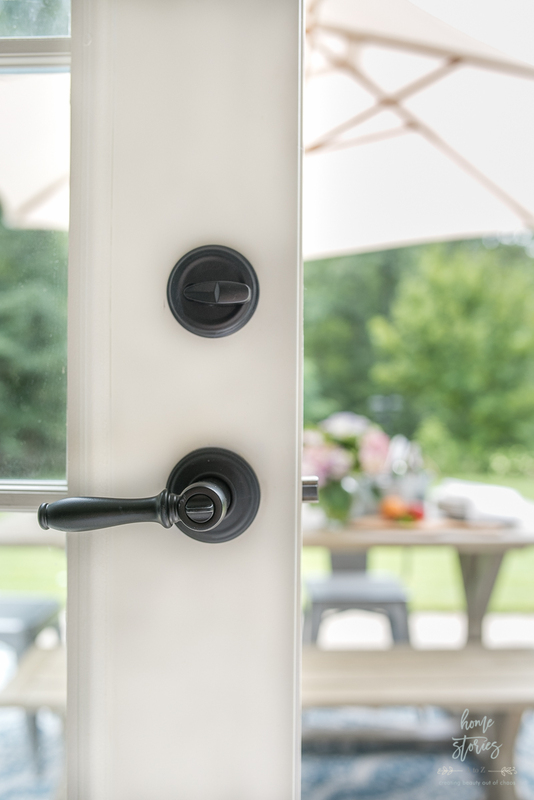 I’m excited to tell you my thoughts about Kwikset’s SmartKey Security products and why I think you will love them too! Kwikset SmartKey Security products help keep your family safe. Our home has seven exterior doors with deadbolts. Yes, you read that correctly–SEVEN! And those seven doors came with various keys, faulty locks, and worn-out hardware. Our home is only a decade old but has had two previous owners which makes for a lot of potential and unknown people owning keys to our home! For security reasons, if you recently purchased a home it’s a good idea to replace or re-key your locks. I have better peace of mind now knowing exactly who has a key to our home. Installing all new door hardware and re-keying our locks for one-key convenience was so simple! I literally had my 13 year old help us with the process and even he could install the new hardware and rekey within minutes. 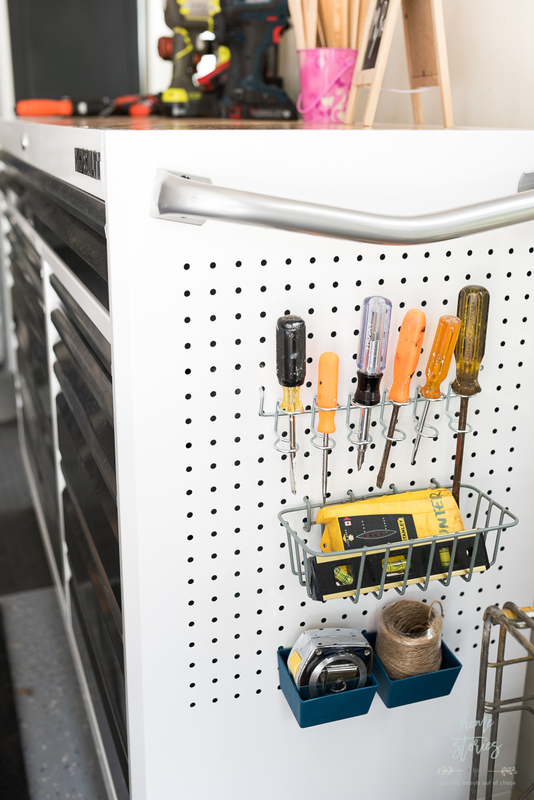 One-key convenience allows me to secure our home, tools, garage, and shed without the hassle of carrying unique keys for each lock. With our new hardware in place we simply inserted the key that came with the hardware and turned the key a quarter turn to the right. Next, we inserted and removed the SmartKey tool (included with the hardware) and removed the key. Finally, we inserted the new key that was designated “the key” into the lock and turned it a half turn counter-clockwise. We repeated this process on every exterior door and our tool cabinet until all locks in our home use the same key cut for one-key convenience. If this sounds in anyway complicated, I assure you it is not! It’s more difficult to type out than it is to do. Take a look at the diagram below to see how simple it is rekey your locks. What’s also wonderful about this system is that if your keys are lost or stolen, you can rekey the lock within seconds without removing or replacing the door hardware! Kwikset Products with SmartKey Security are available in different styles and finishes to suit your home’s style and your family’s needs. If you’re anything like me, the only problem will be deciding which gorgeous style and finish to choose! 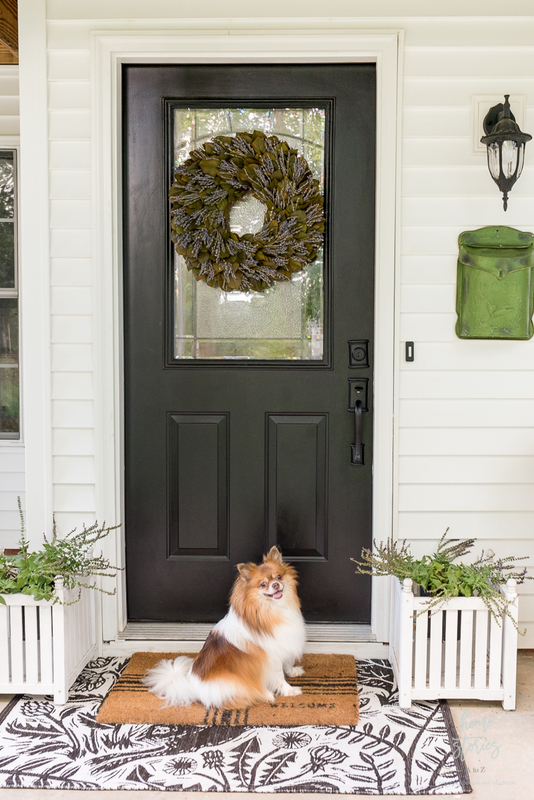 For the front door, I chose the Ashfield Handleset in Iron Black. 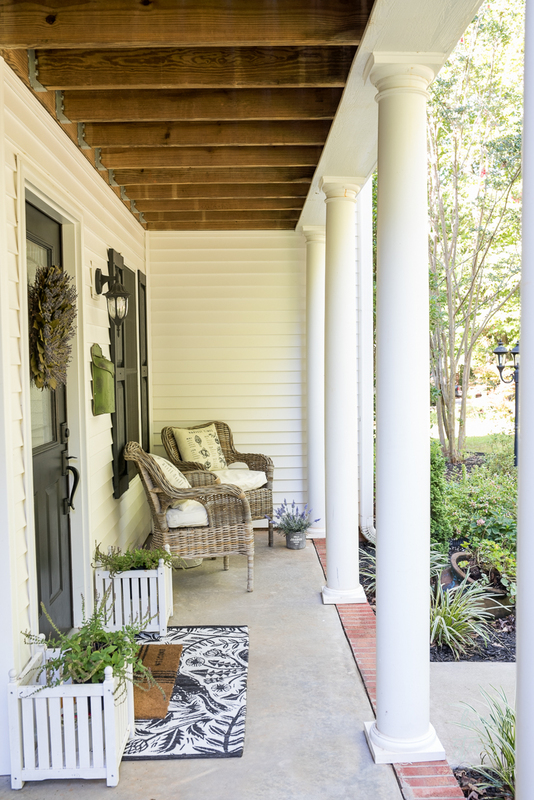 Its timeless, classic design is perfect for the porch! 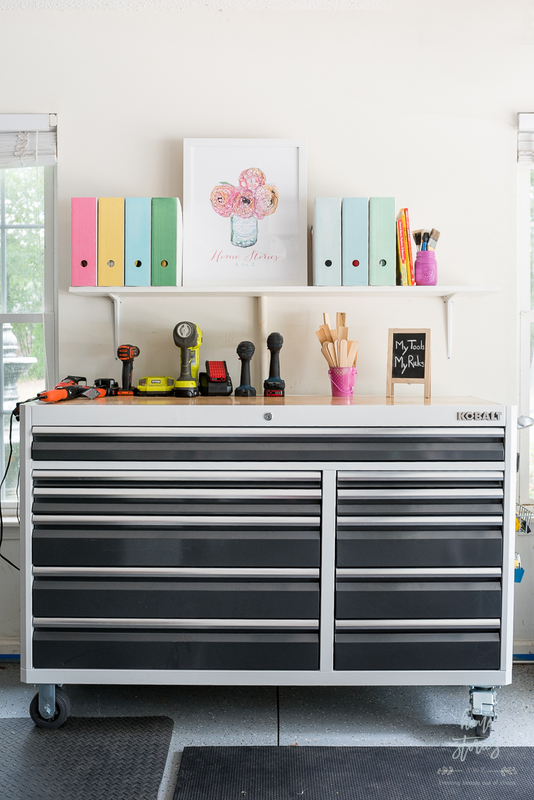 To say that I am obsessed with my new Kobalt 3000 Steel Tool Cabinet with Kwikset SmartKey Security would be an understatement! When we moved, we actually downsized our living space in addition to losing 800 square feet of basement storage. In this home, I no longer have a craft room, office, or huge basement workshop. Everything now needs to fit into our two-car garage, including my husband’s home gym. 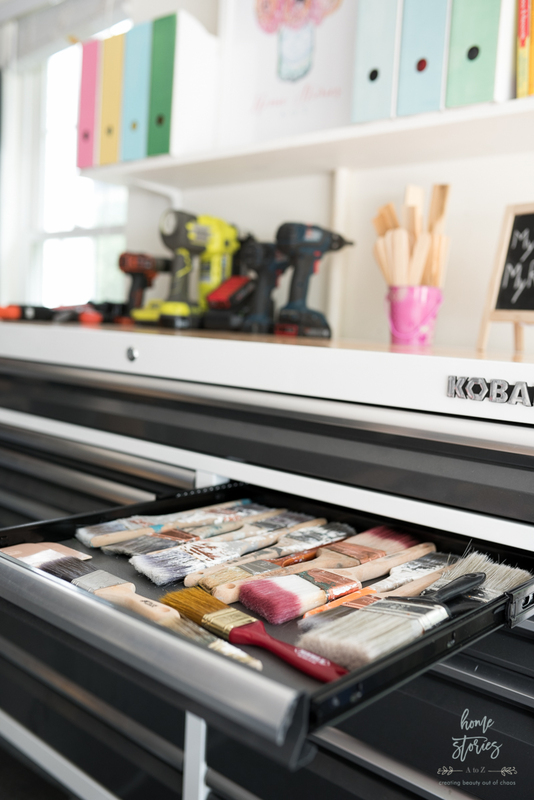 The drawers come with liners which help protect your box and keep everything in place. 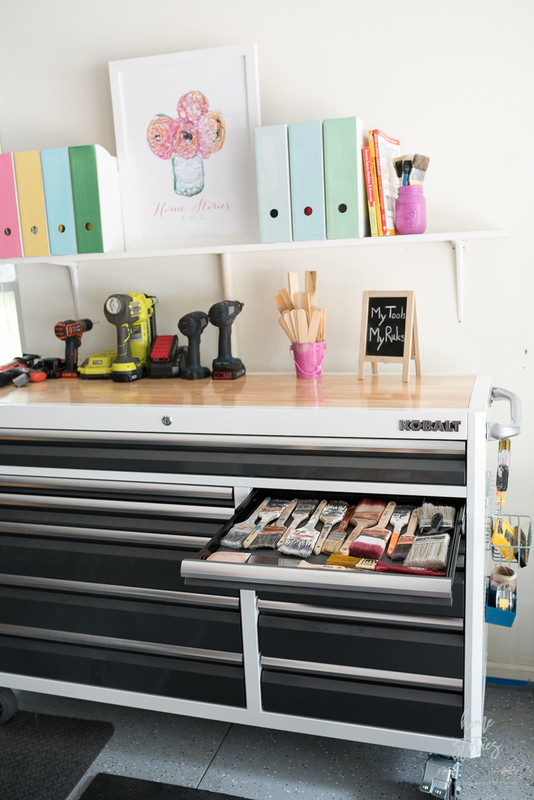 I purchased a few inexpensive drawer organizers from Amazon to customize my organization needs. The bottom drawers are spacious enough to fit my larger tools such as my reciprocating saw, sanders, and hammer drill. 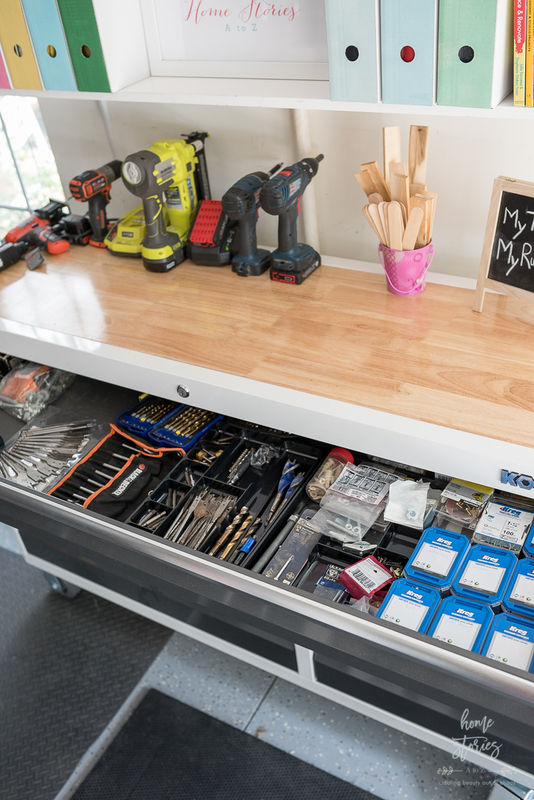 If you’re in the market for a new tool cabinet, I highly recommend checking this one out at Lowe’s! I don’t think you’ll be disappointed. Please let me know if you have any questions about my experience so far with the Kwikset SmartKey Security products. I’d be more than happy to answer them. Thanks for stopping by the blog and feel free to save this post to Pinterest for later! We have had several moves, and one of the first things on our priority list is changing the locks. The idea of one key for every door sure simplifys the process. Thanks for sharing this important reminder. I’m so glad we have all of ours changed now. It gives me better peace of mind and the one key is definitely convenient! Thanks for stopping by! I like this one-key convenience concept! Thinking about changing our locks too! It has been so incredibly convenient! I love the freedom of having one key for everything now.